Welcome Baby Boy Gift Box send this baby boy gift basket to welcome the new baby boy to the world and say Congratulations on the new addition to the family. Free Toronto hand delivery.One of our best sellers of baby gift hampers – baby gift baskets filled with newborn products to welcome new baby boy to the world. 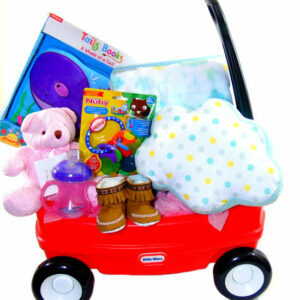 Baby Boy Basket. Welcome Baby Boy Gift Box. 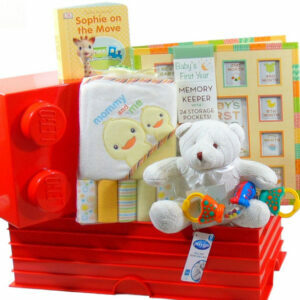 One of our best sellers of baby gift hampers. 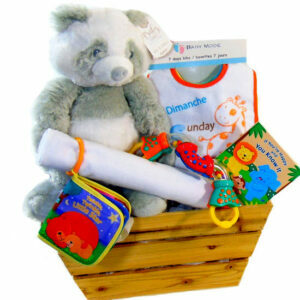 Baby Boy Basket contains: Welcome Baby printed on an open animal theme gift box. Baby Ganz blue Owl rattle and stuffed animal. Embroidered hearts hooded towel. 5 washcloths. Blue soft bear Baby Ganz Rattle and Crinkle. Sophie on the run baby book. It’s A Girl! Congratulations! Welcome To The world Baby Boy! Send you message with gift basket.